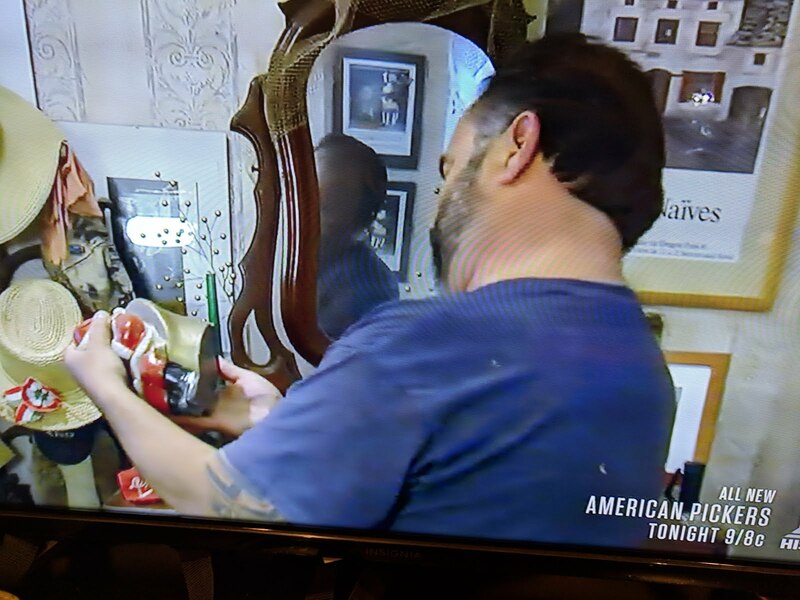 There I was: sitting in my office one evening doing some work and mindlessly watching one of my favorite shows 'American Pickers' on the TV. I looked up from my laptop and notice that Frank Fritz has picked up a Santa. I know I've seen it before. I pause and rewind and sure enough.....I *know* that Santa that Frank has in his hands! This piece survived and is proudly displayed. 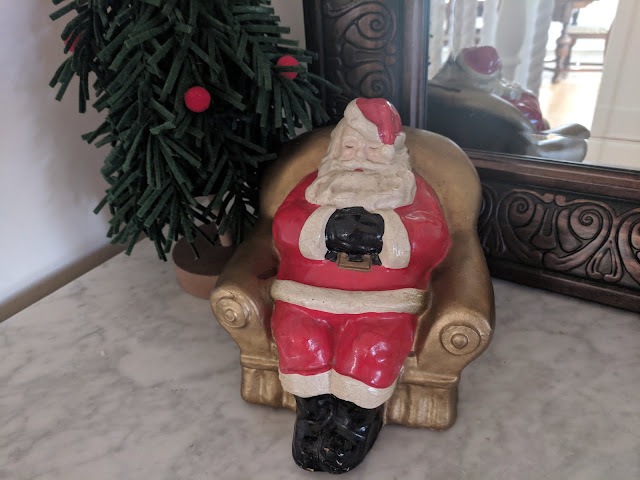 But....with our new house and fresh slate in terms of decorations, we've gone through some growing pains with our vintage Christmas collection. Nat has, wisely, parsed some of 'finds' and has decided that we can't keep all of them ourselves. Of all the pieces that she decided weren't a fit, some of them have been re-housed with family (thanks, Linda and Sisi!). And I've been trying to 'live' my collecting mantra: It is enough to enjoy the existence of things without possessing all of them.